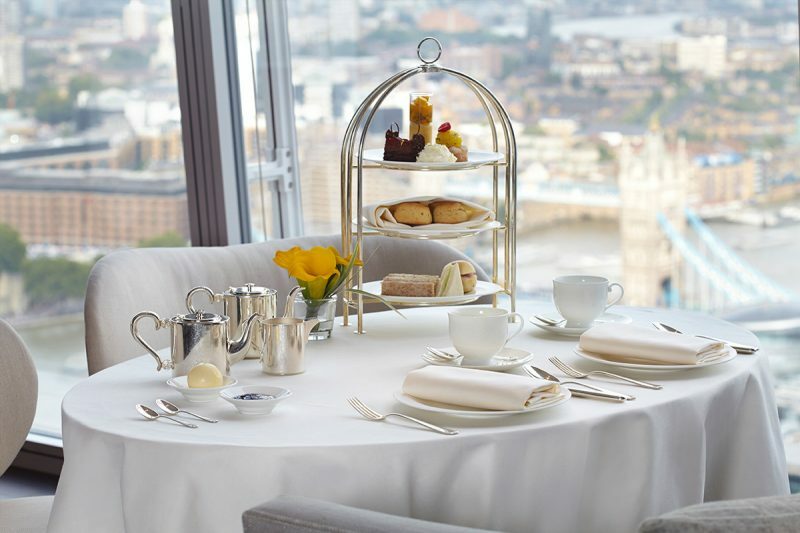 Do you want to experience a delightful afternoon tea while admiring the stunning views London has to offer? 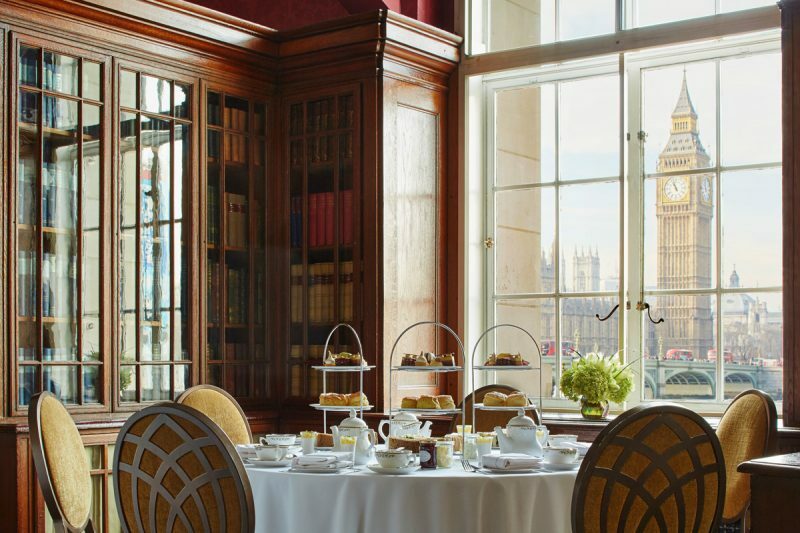 Thankfully there are a few options available that will allow you to indulge in some of the best afternoon tea experiences in the world and at the same time gaze in awe of London’s stunning architecture. You can’t talk about the best views in London without mentioning The Shard, London’s tallest building. The Shard houses many attractions that are accessible to the public, such as the viewing platform at the very top, along with multiple restaurants and bars. 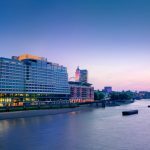 Also located in The Shard is the Shangri-La hotel which also offers an excellently reviewed Afternoon Tea for Two package. Located on the 52nd floor, your afternoon tea experience will take place in the GONG Bar, with panoramic views over central London and beyond! From here you can see for up to 20 miles in every direction, including all of London’s most famous landmarks. 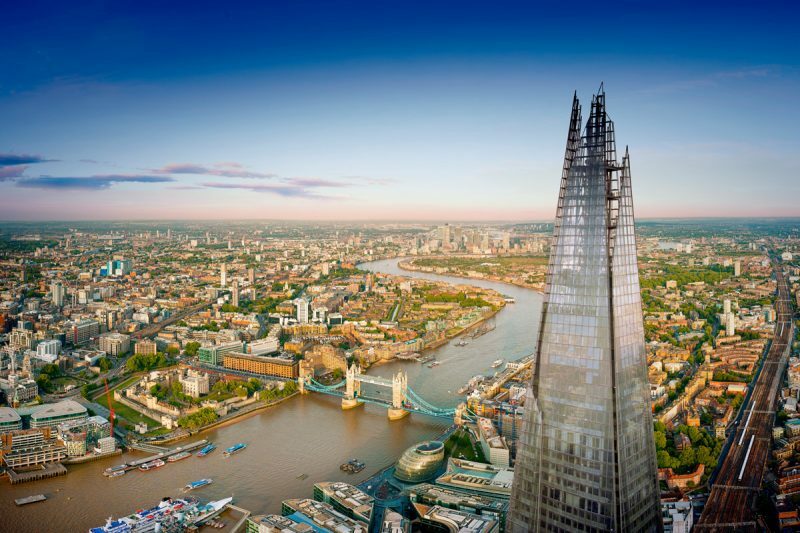 This package also provides access to the aforementioned viewing platform on the 72nd floor of the Shard, which provides even more stunning views as well as an outdoor viewing area. The afternoon tea itself will consist of a mixture of savoury and sweet treats crafted in a kitchen suitable for a 5 star hotel. We are coming back down to earth with a bang now, but that doesn’t mean you still can’t enjoy some stunning views from a unique vantage point. 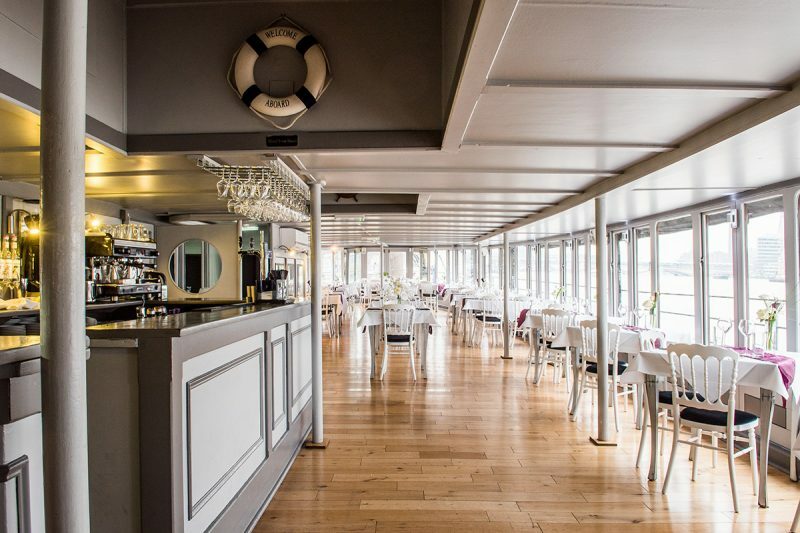 The Yacht is one of London’s best river based venues, offering a budget friendly afternoon tea experience with stunning views of the River Thames. 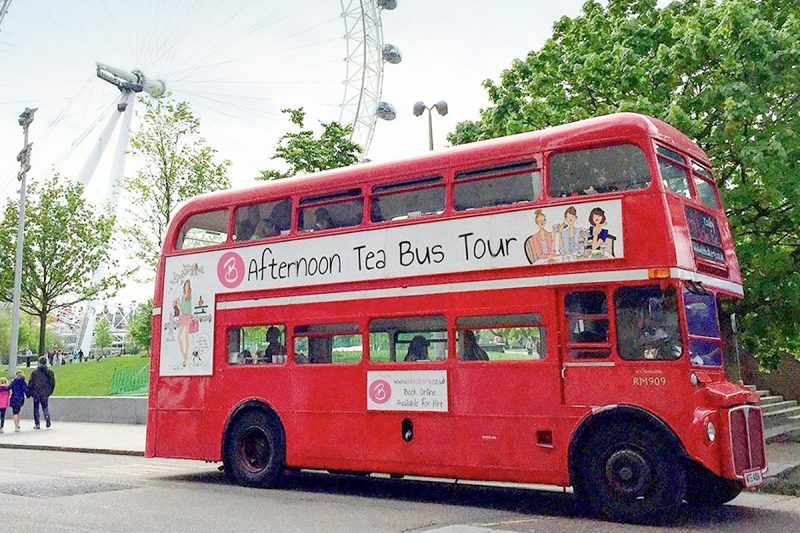 How does traversing central London in a vintage red London bus while you enjoy champagne, cakes, and of course, as much tea as you can consume? 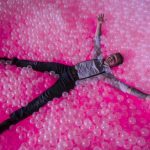 This is a really unique way to see London as well as tickle your taste buds. 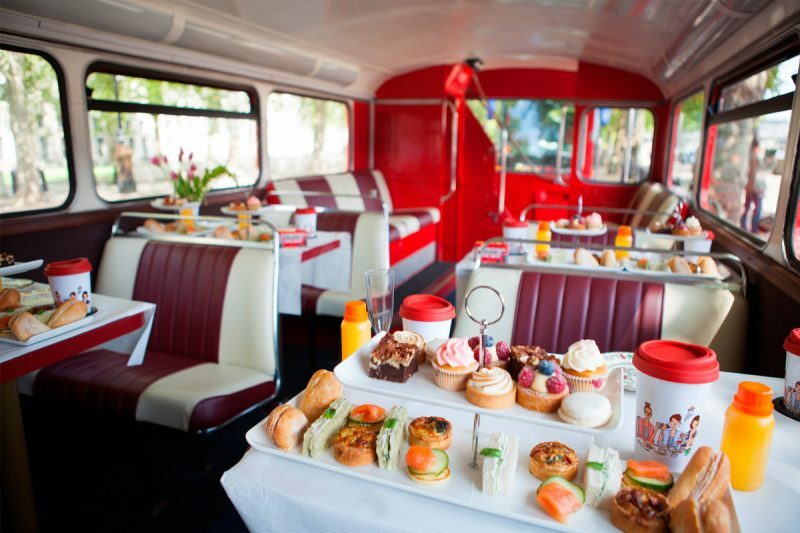 The B Bakerys vintage buses have been refurbished to provide a comfortable and cool place to enjoy an afternoon tea. You’ll wind your way around London’s landmarks, including Trafalgar square and Big Ben, while the B Bakery staff tend to your every need. The Afternoon tea includes a selection of sandwiches, cakes, scones, jams, cupcakes, macaroons, and everything else that adds up to a classic English afternoon tea. 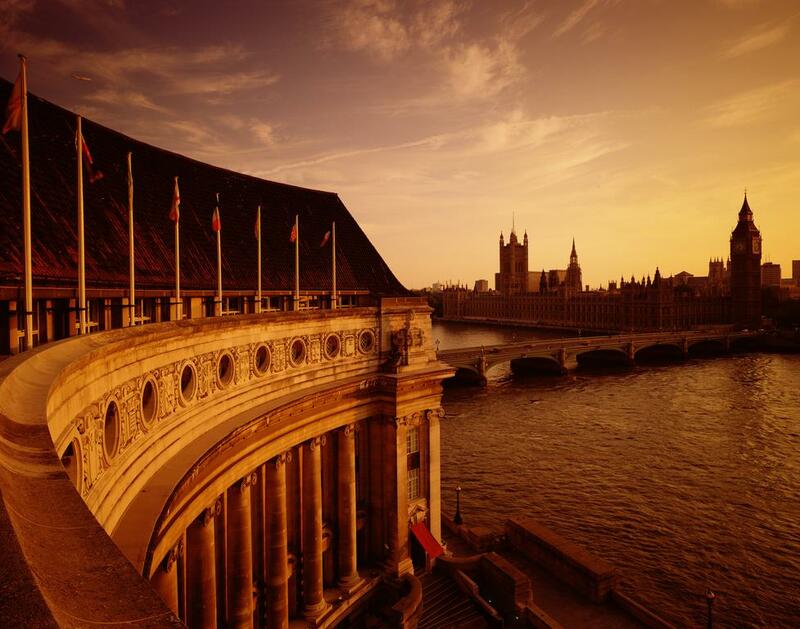 Dine at one of London’s finest hotels and enjoy the best view of Big Ben and the Houses of Parliament in the city. 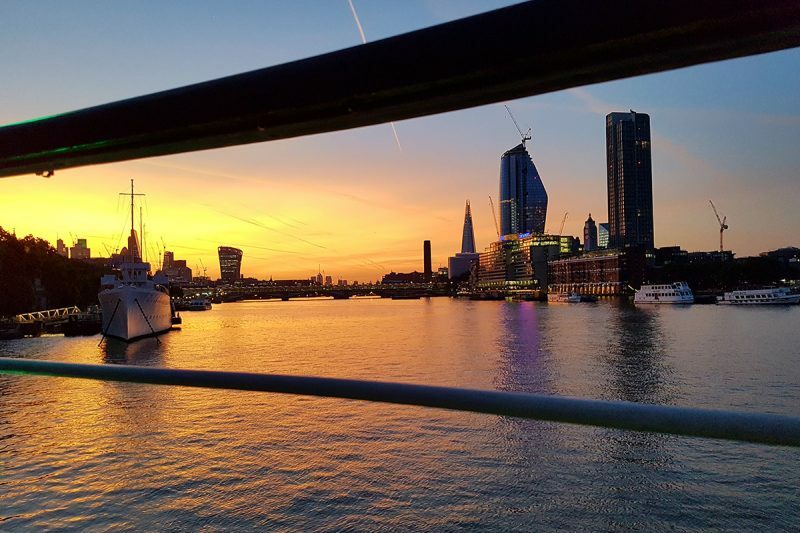 The absolutely stunning County Hall building offers the best location for anyone who wants a classic London view. Located on the South Bank, right next to the London Eye, you really couldn’t get more central. If you prefer something a little stronger than tea then this is the place to come. Free flowing Gin and Tonics for a whole 90 minutes allows you to properly indulge, and you’ll have a fine selection of cakes, sandwiches and other treats to soak up the alcohol.